Who, out of all of your teachers, have influenced you the most? I had many teachers in my flute-playing life. I would consider my first teacher to be Vadim Abramovich Berezovsky, father of the world renowned concert pianist Boris Berezovsky. He taught me solfège so that I could pass the entrance exams to the Gnessin School of Music in Moscow. He also taught me recorder, as his main instrument is trumpet. When I was at the Gnessin School of Music my teacher was Michael Ivanovich Kashirsky. He was a very good teacher and prepared me for a competition called “The all Russian music competition”. After this competition I was chosen to go to Holland for another competition, however I knew that I did not have the knowledge and level of technique that the Europeans had. Exactly at this time I was introduced to another teacher called Leonid Mironovich, first flute of the Cinematographic Orchestra, who taught me about breathing, support, the diaphragm and the French flute school. Sadly, 9 months later he immigrated to the USA so our lessons stopped. These lessons, however, helped me in the Dutch competition immensely. I went through to the second round (I still have a local newspaper clipping about that fact! ), but did not make it to the third. I remember that the winners of the competition were Emmanuel Pahud and Jaques Zoon. I was awarded a “special prize”, which enable me to buy lots of presents! I actually met a lady this summer when I was in Holland who came up to me and said that she remembers me because she was also one of the contestants then. It was nice to catch up and reminisce. After I finished school, I entered the Moscow Conservatoire and my teacher was Professor Dolzhikov. At the time, the students of the conservatoire already had the opportunity to go to different masterclasses in Europe, which is exactly what I did. I went to Austria and Germany, and I remember that the most impressive classes were given my András Adorján, who became my main flute teacher for that time. Also a very important part of my development was a teacher and composer Edison Denisov, with whom I had a few lessons to fully understand every phrase and nuance in his concerto for Flute and Orchestra, which I performed it to him in the Bolshoi Hall of the Conservatoire. Could you tell us about how did the Baroque flute faculty started at the conservatoire? Everything started here in Moscow. We tried to buy every secondhand instrument we could find and listened to every possible recording, learned new (well, actually quite old) fingerings, tried to imitate the performances we heard and then started to give concerts ourselves and gained popularity. During that time when we started to get interested in this ‘period performance’ we had backing from pianist Alexei Liubimov and cellist Natalia Gutman, whom I also count them as my teachers. 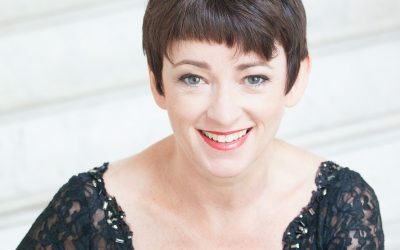 We all came to the head of the Conservatoire with a proposition to create a faculty of period performance as it already exists in many conservatoires around the world. Our proposal was granted and Liubimov became the first Deacon. We were often told that period performance was not a professional approach, but slowly the perception of this changed as listeners started to realise that a lot of research went into each piece and its historical background of the performance side. At the end of the day why is it so popular around the world these days? Nowadays, period performance is looked up to in the music circles. Many orchestras are performing period music in an informed way. When I became a teacher at the conservatoire I was told that I could get a scholarship to go and study abroad in Germany. I knew that it was probably impossible to get but I decided to try anyway. I had to fill out what seemed like a mountain of paperwork and send a recording. I sent in a recording of me playing the baroque flute. At the same time I found out that I was pregnant! I was awarded the scholarship and given maternity leave. When my son Ivan was 6 months old, my husband and I moved to Leipzig where I began my studies at the Felix Mendelssohn School of Theatre and Music. 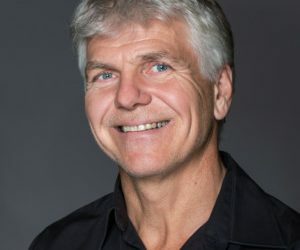 My husband learned to speak fluent German and I had an amazing teacher – Benedict Chalok, a hungarian flute player who studied with Barthold Kuijken. He was able to pigeonhole all aspects of flute technique for me and I finally understood everything. Also in Leipzig I attended masterclasses of the inspiring Ermilla Bosler. The Baroque faculty Deacon was Nicholas Parle, who also did chamber music with us and gave classes on figured bass. Numerous masterclasses were organised for students with top teachers and not just flute but also violin with such masters as Sigiswald Kuijken. After I came back from Germany, I continued to teach at the Moscow Conservatoire. 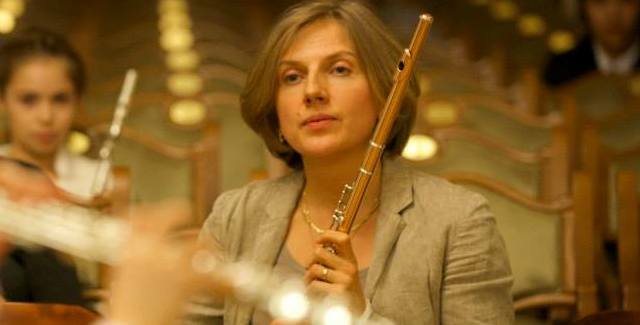 We now had a modern and baroque flute faculty. Yes, it turns out that I teach two types of flute to the same students and I think this is good because they get a well-rounded education. Our faculty is now 15 years old and it has its own traditions, and we now have the facility to invite European player for masterclasses, which we do regularly. 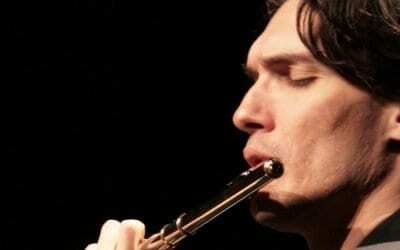 One of our most favourite flute players we invite is Felix Renggli. He comes to give masterclasses often and we play concerts together and invite each other to participate in different projects. 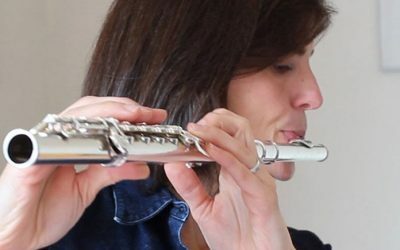 Please tell us what do you think of competitions and what does a flute player have to do to get noticed? I am usually on the panel for a lot of competitions in Russia. If we see a child in front of us, it is usually very easy to see if they are musical of not. One can forgive some technical mistakes if you see a musical identity, so I would imagine that this is your answer. Even if the child has been really well trained by the teacher and parents, we are looking for the personality to comes through. Last year, I was on the panel for a competition entitled “the Nutcracker”, in Moscow. It is a very difficult job to choose who is the best out of all the children. The competition was open to all woodwind instruments. Everyone who played in the first round was technically proficient (as they were chosen from the recordings they sent in), so the only way to choose successful performers was to use my musical knowledge and choose those who had the most mature understanding of music. Perhaps, I cannot notice some technical problems of other instrumental performances but, I can identify intonation, phrasing and musical problems. It was highly competitive and I would not send any of my children to this competition as it is too fierce! This year I was on the panel at the Nicolé Competition is China. There were problems of choosing the winner from the adult performers! The first round had some very strong performances as they were chosen by video recordings and there were about 70 of them! The first round lasted for three days and by the end of the third day it was difficult to remember who played on the first day. So what was decided was that in the first round we looked for certain criteria and then we could just compare. However, I think that adult performers can fool the jury more easily because they are already professionals. The aim of performing is to convey the music, and some of the performers are really good at it, and not just by nature. However, there are always criteria they have to fit such as understanding of the text, intonation and sound. 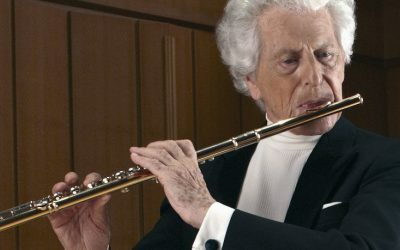 I would stress that the sound is very important and not just any sound but one which is memorable, which makes the flute player an individual. This is why it is difficult to judge a competition as there are very few strong individuals and one tends to simply forget everyone. In this competition there were a lot of Korean and Chinese players who all had phenomenal technique however, nothing more. Most of the panel members noticed this. One of my pupils, Anna Kondrashina, played this competition and although she made a mistake (in Russia if you make a mistake it’s the end of your competition), she was awarded third place. I remember sitting in my hotel after the competition and reading some online forums regarding this competition and someone wrote “We all know that the jury members always get their pupils into the final”. So I replied “We are sitting 5 meters apart from each other. Do you really think I can walk over to one of them and subtly ask something? They will think I’m crazy”. The only time we talked about the competition is regarding the results of the final, however the voting was still anonymous. Could you tell us about your plans in the near future. At the end of October I am going to be jury member on the panel of the Kuhlau competition in Germany, and I am preparing one of my pupils Dasha Dyaghileva with her pianist Nikolai Martynov. 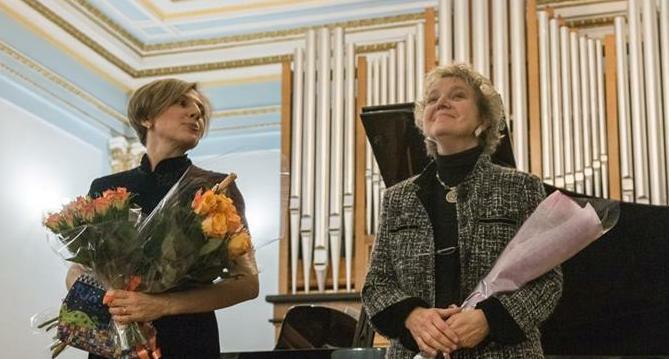 Towards the end of November I am going to Novotroitsk with masterclasses and concerts. I like to organise classes and concerts for school children. Of course it takes up a lot of time and effort but it gives so much positive energy working with such raw talent that I don’t want to stop. About one week ago we also had Cordula Hacke from Germany come and give classes. 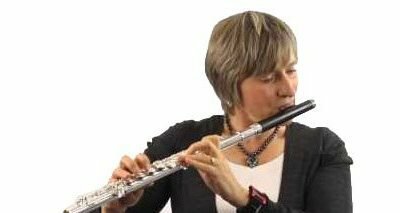 She is a pianist but was also a flute player and still continues her flute passion by working on the German flute magazine “Flöete Aktuell”. She is the initiator of many projects and I am always happy to work with her. Further ahead I have many concerts and at the end of December and I invite everyone to come and listen to my pupils play in the traditional class concert in the Bolshoi Hall at the Moscow Conservatoire.